The ancient Inca sites can be explained in a very different way than is done usually. Of course there are other opinions about these phenomena. One extreme opinion is for example that of Erich von Däniken. 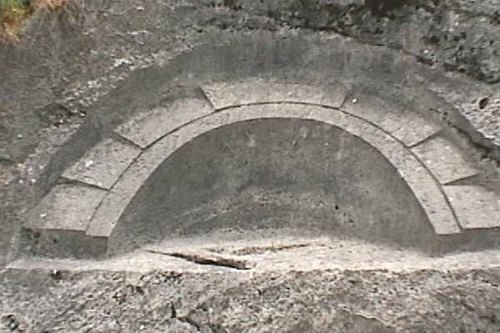 After he saw Sasayhuaman, he said that this must have been done in a time we don't know, with a technology we don't know and by people we don't know. Of course for him reason enough to relate the sites to extraterrestial influences some long time ago. 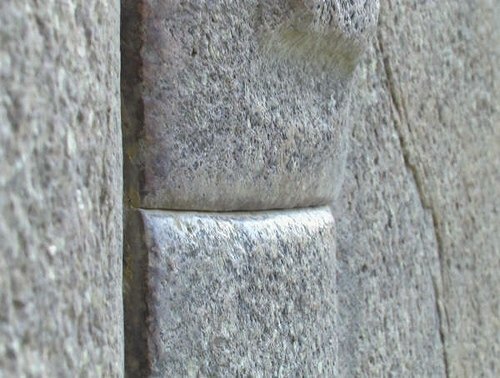 Another story that some guides will try to make you believe on a tour in Sacsayhuaman, is the use of some plant extract that the Inca's applied to soften the stone. Something rather irracional if one sees the scale of he phenomena in the rock. Another explanation used by the orthodox, is that the Incas had a different concept of time. They should have been able to carry the enormous blocks with thousands of persons, and than would have fit them perfectly together by polishing all the stones (which also should expain the shining on the stones), with an enormous patience. 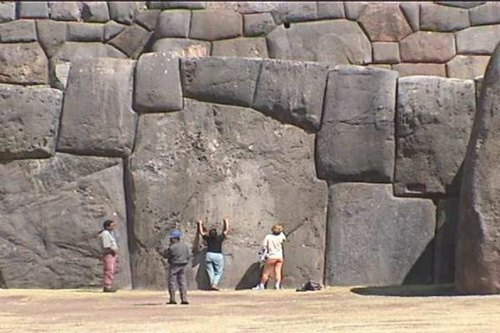 I personaly think that the Incas had better things to do, and again, the scale of the sites with the above described phenomena, is too big to consider it logical. Knowing the time frame of the Inca culture, it's hard to believe that they were able to make all those incredible sites in a relative short time, and with the limited technology they had. Well, time to go to the only logical option that I was able to find in Cusco. 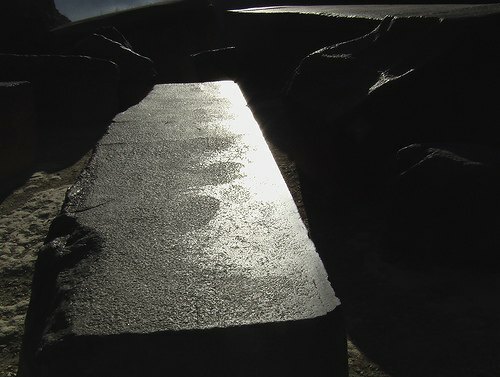 This is to be seen now in The visual proof of Alfredo Gamarra's opinion, reflected in all the Inca sites.